I want to write just briefly about something that I think everyone loves. And I want to talk about something else everybody loves. The best part is that I can do those two things at the same time. And I’ll throw in a few fun quotes too. Let’s look at the 3 best candies for leaders, in no particular order. First, the Now&Later. A delicious take on taffy, this tasty candy tells a story familiar to any leader. The wrapper says, “Hard and fruity NOW, soft and chewy LATER.” Hmm…hard now, soft (read: easier) later. Sound familiar? Leaders understand that you’ve got to put the work in, and it has to come before the reward. Leading takes a tremendous amount of effort up front, it often isn’t till years down the road that the path becomes a bit easier. So leaders, have a Now&Later and keep at it! Next we turn to the famous Gobstopper. This jawbreaker comes in two varieties, the everlasting and the chewy. The idea here is that when you’re eating a Gobstopper, you’re not talking. We all know people, brilliant people, who never stop talking. And we stop listening. Or the guy who asks for your thoughts, then tells you the answer before your lips ever get a chance to part. But the great leaders know when to stop talking. Great reasons that leaders stop talking include: they recognize that it’s time to listen, they don’t like beating dead horses, and that the time for talk is over, it’s time to get to work. Finally, I would like to address the gummy bear. But not just any gummy bear. A stale gummy bear. Though generally eaten fresh, it is the stale gummy bear that shines with leadership brilliance. Because nothing is going to affect that stale green gummy bear. That sucker isn’t going anywhere. Chew it for ten minutes if you will. It will remain unscathed. Admit it. You’ve tried. You’re cleaning your room and you realize that there was one bear left in the bag. It’s still good, right? Sure, maybe as a hard candy. The word for both that stale gummy bear and a great leader is resilient. There are plenty of challenges and obstacles for the leader, both from within and without. The great leaders are resilient. They stay the course despite what gets thrown at them. Like that gummy bear, they don’t get ground down, they persist. They get up and try again, and again, and again. As we’ve all heard, you are what you eat. 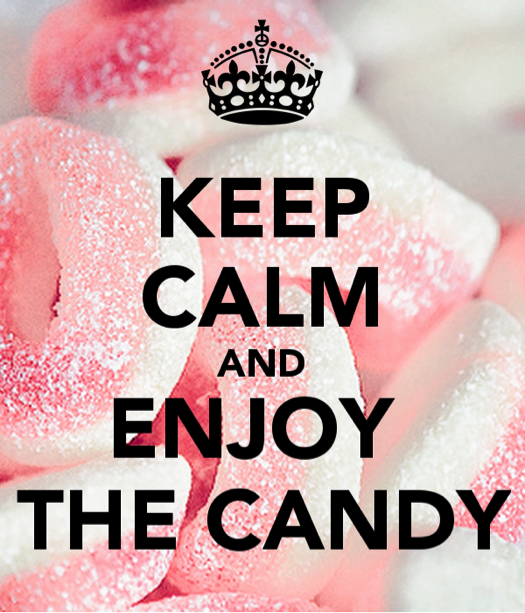 So to all the leaders out there: Work hard, know when to stop talking, keep and it, and enjoy that candy. Next → Next post: What Makes a Gr8 Leader?